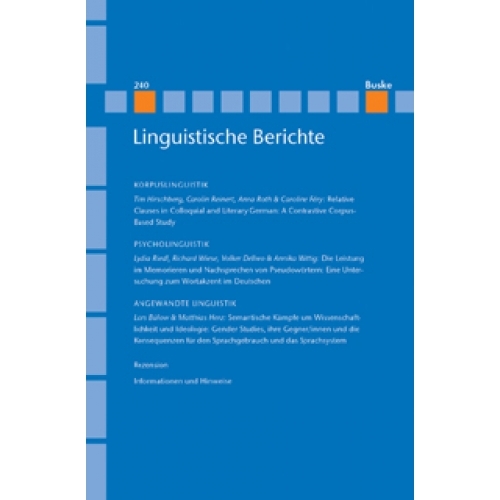 This article focuses on the realization of relative clauses in colloquial and literary German. Two new corpora representing these different registers are compared according to quantitative, syntactic, semantic, and prosodic aspects. 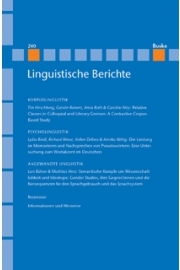 The main goal is to approach important issues related to relative clauses from an empirical perspective: the grammatical function of the relative pronoun (subject, object), extraposition, stacking, (non-)restrictivity, and the form of the relative clause introducer. It could be found that the distinction between restrictive and non-restrictive relative clauses is generally reflected in prosody. This stands in contrast to previous work (Schaffranietz 1999; Birkner 2008; Kaland & van Heuven 2010), which did not find much difference between the two types. The corpus data also suggest that the restrictive/non-restrictive distinction both has a referential (semantic) and a conceptual (discourse-pragmatic) side (cf. Fabricius-Hansen 2009), which can be independent. As for stacking, it is argued that all the consecutive relative clauses found in the corpora are instances of asyndetic conjunction. This conflicts with the assumption that stacking involves hierarchical layering, at least in case of multiple restrictive relative clauses (McCawley 1998).